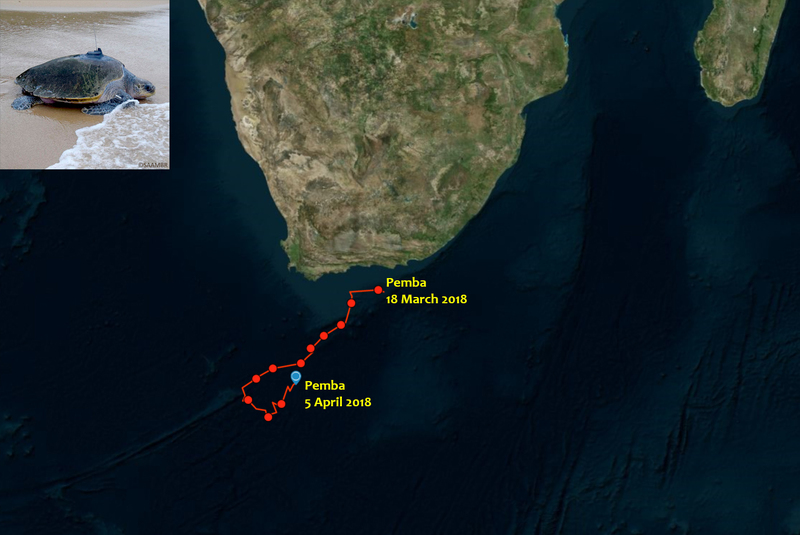 Pemba has traveled close to 3000km since her release one month ago, averaging around 120 km per day! 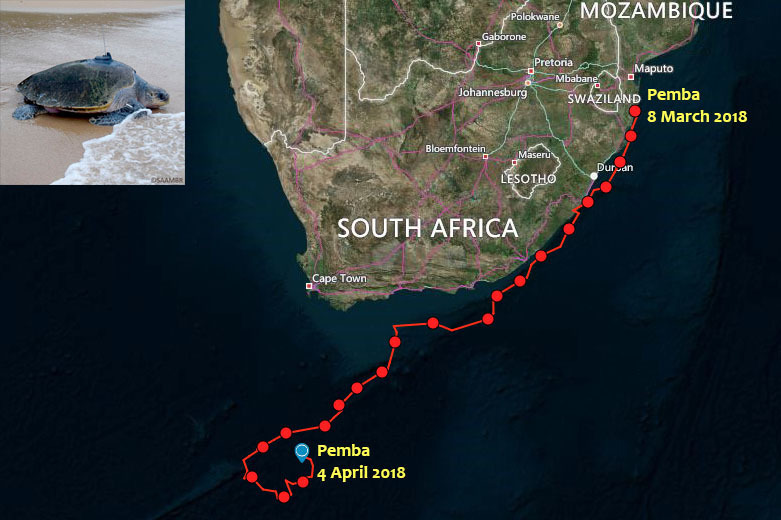 The Agulhas current has helped her along the way. This current moves at about 90 km + per day (up to 170km in some areas). 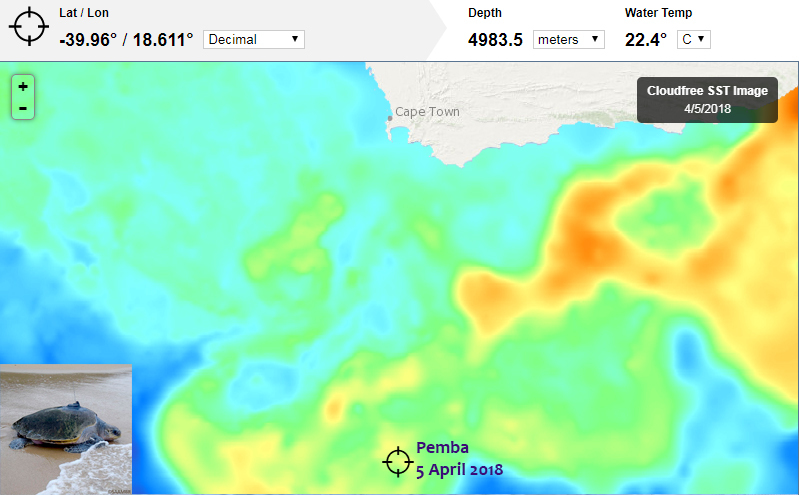 On 5 April 2018, Pemba was 321 nautical miles (594 kms) South of Cape Point. The water temperature is a comfortable 22.4°C and she is in an area where the ocean depth is 4983.5m.